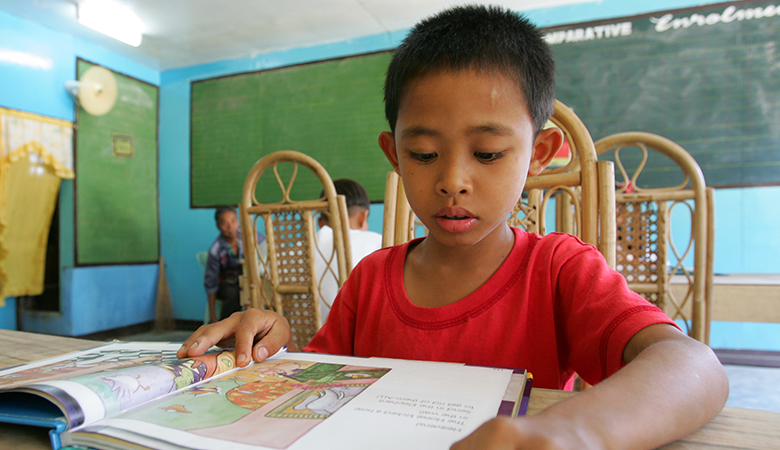 Classrooms receiving the full Basa intervention showed significant improvements in student reading skills in Filipino, particularly on fluency and reading comprehension. With Basa assistance, grade 2 students achieved substantial gains in reading comprehension in Filipino, by as much as 24 percent at endline. Basa’s intervention significantly helped teachers improve their classroom management by ensuring more equitable participation of learners, more accessibility of classroom materials, and more effective management of reading and writing instruction. The most improvement was seen in the domain of language and literacy instruction, particularly in providing opportunities for students to develop oral language, reading fluency, and comprehension.